Among the nation’s 36 gubernatorial elections in November, nine races are toss-ups, including Ohio, where Democrat Richard Cordray and the state’s Republican attorney general, Mike DeWine, are neck and neck in a recent poll. The POLITICO/AARP survey of 1,592 registered Ohio voters showed the two candidates nearly tied in the race, with DeWine receiving support from 39 percent of respondents compared to 38 percent for Cordray. Twenty-three percent of those surveyed were undecided. The attorney general’s lead was wider among voters 50 and older, with 44 percent of voters supporting DeWine compared to 38 percent favoring Cordray. Nineteen percent were undecided among this demographic. The margin of error for the overall survey, which was taken between Sept. 2-11, is +/- 2 percentage points. The results for those 50 and older has a margin of error of +/-3 percentage points. RealClearPolitics's average of polls has Cordray ahead of DeWine by 1.6 percentage points. 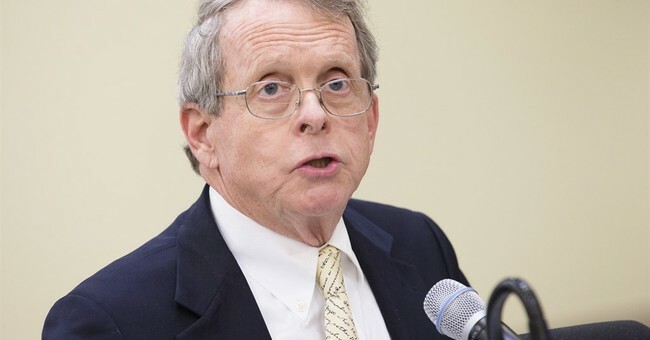 DeWine is a household name in Ohio given his extensive political history in the state. He won his first elected office in 1976 as Greene County prosecutor and has served in the Ohio state Senate, as well as the U.S. House and Senate. Cordray has attacked him for being a career politician—a label DeWine doesn’t seem to mind, however. This is not the first time Cordray and DeWine have faced off against each other. In 2010, DeWine defeated incumbent Cordray to become the state’s attorney general.